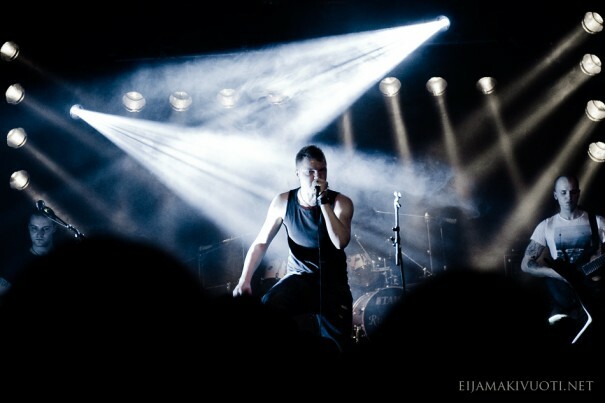 The Faroe Islands joined the W:O:A Metal Battle competition this year and the Faroese edition of the Wacken Metal Battle made its debut Saturday 24th March. 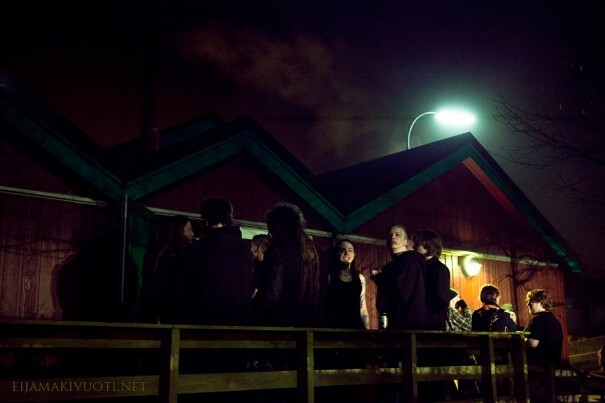 The Metal feast was setup in a local theatre called Sjónleikarahúsið (The Actor’s House) in Tórshavn, the capital of the Faroe Islands. There were 8 bands to battle for a spot in the finale at Wacken Open Air in Germany. The Faroese label Tutl Records promoted this local metal battle event together with the cultural venue The Nordic House in the Faroe Islands (Norðurlandahúsið í Føroyum), which was also one of the major supporters of the event. Wacken Metal Battle is almost a ten-year-old institution founded to promote upcoming and fresh new bands from all over the world to step up to professional arenas. Since 2004 the winners of the local battles have been given “an occasion to play live on the world´s biggest metal festival, Wacken Open Air,” as the organisers put it. The first day of Wacken Open Air is in fact the Metal Battle Finale day (which makes the festival a four day festival) – hopefully it will get even more known, and people start the festival now on with that day. This year the local battles are held in 33 countries worldwide, including countries like China, Japan, Russia, Mexico, Brazil and all the Nordic countries (only the self governing region of Greenland is missing, maybe they will enter soon with some inuit metal) and many European countries. So it is a very interesting concept indeed. For those who do not have a slightest clue what the Faroe Islands are and where they are, a bit of facts and trivia. The Faroe Islands are a country consisting of 18 mountainous islands situated between Iceland and rest of the Scandinavia in the North Atlantic Ocean. The tourist online guide introduces: “The close proximity provides the visitor with a variety of experiences of nature – from dramatic landscapes meeting the wild ocean to the peacefulness of the mountains to the nightlife of the capital Tórshavn”. Their ancestors are the Norse Vikings and the Irish (of whom the women either came voluntarily or involuntarily back in the days). The Faroe Islands have a population of somewhat 49 000 thousand people, of which around 20 000 are living in the capital region of Tórshavn. They have their own language, which derives from old Norse and even living in these ultra modern times, they do appreciate their one thousand year-old culture highly, and the traditions are incorporated in the contemporary life and culture with elegance and pride. The Faroese are a very musical bunch of people – they even have a symphony orchestra. One major contributor to this must be the late creation of a written language, so the tales and stories of the people have been passed on from generation to generation with song and dance. Originally the event was set to take place in the The Nordic House, which is a professional stage for many concerts and events, for both local and international events. But the venue was changed to Sjónleikarahúsið in order to fit more bands in the roster. In my and many others opinion, this old wooden house built in 1926 fitted the required atmosphere and intensity of the event better. The venue is situated right next to the most central part of Tórshavn, on Niels Finsens gøta. Havnar Sjónleikarfelag, the local amateur theatre, uses the idyllic house and also the main use of the building is for theatre plays. 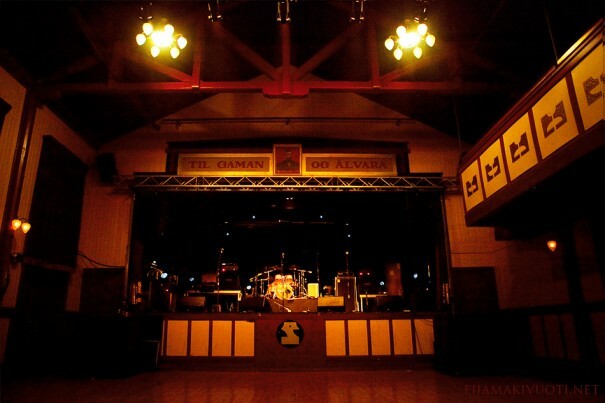 It’s not a venue as such, but it can be rented to setup gigs and other events. It’s also used for weddings and is one of the most used places in Tórshavn for the traditional Faroese dance. During summer Faroese evenings are organised for the tourists including Faroese cuisine, beer and the traditional dance. The slogan above the stage says, “Til gaman og alvara”, meaning “for fun and seriousness”, both of these were about to happen this very metal evening with some heavy “dancing steps” and beer from a mobile Okkara bar. Rasmus Christoffer Effersøe, one of the forefathers of the Faroese independence struggle in the late 1800’s, was watching over us (there is portrait of him painted in between the fun and the seriousness). The Saturday included a meet’n greet event for the judges and the bands earlier during the day where the judges introduced themselves and answered questions from the bands. One representative per band was present. The most discussed topic was what the judges were looking for in a band. 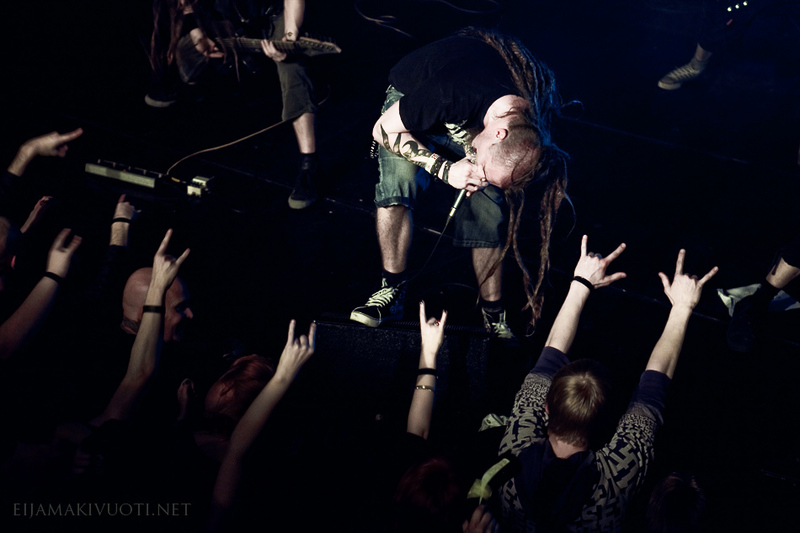 The answer was: energetic live shows, where the band gives the audience an experience and interacts with the audience. Even the greatest of bands on a record or with technical skills is not of interest if they have a poor live show to offer. The judges’ uniform opinion was that a great live performance makes a band interesting. (It is all about a gut feeling, and not even the greatest of lights and bombs can hide if you play a bad gig without energy and commitment). On top of that originality, locality and quality were sought after features in a band for the judges. So adding up your twist of herbs to the metal soup were recommended. The invited international judges to decide the winner were Teemu Suominen from Spinefarm Records, Finland, Jan Clausen, Queen about Music, Germany, Christian Buhl, The Rocking Factory, Denmark, Jörg Düsedau, Dragon Productions, Germany. Spinefarm Records are one of the heavy hitters in the metal community with bands such as Rammstein, Ensiferum, Children of Bodom, Satyricon signed to their label, and the list goes on. 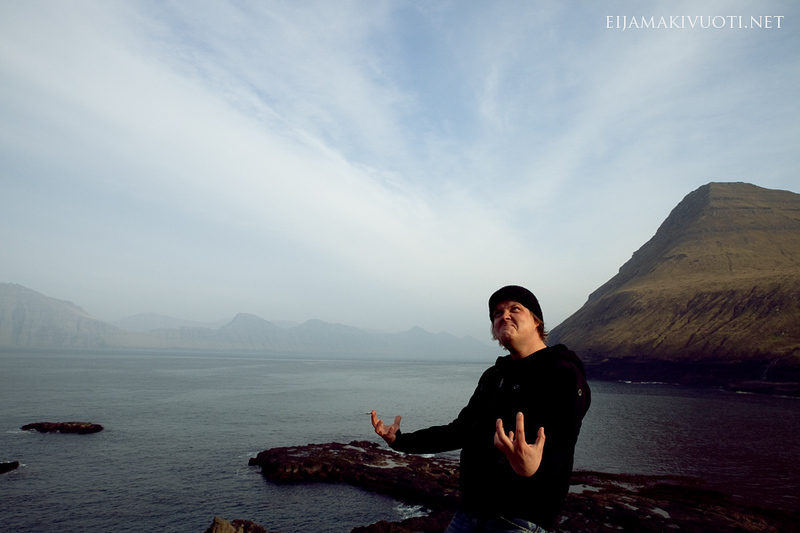 Jörg from Dragon Productions has a lot of experience as a booking and promotion agent for many metal bands from all over, one of those bands being Faroe Islands own TÝR as well as Heljareyga. Queen about Music are a promotion company, that does a lot of promotion in Germany. They count famous names such as the Roskilde Festival, and Danish Spot Festival to their festival clients. They also do tour promotion for bands like Foo Fighters and Blink 182 amongst others. The Rocking Factory works with export of music through Europe, and is in close collaboration with the TUTL record company here on the Faroes, in bringing the Faroese bands in touch with listeners in Europe. These judges were joined by a Faroese judge, Jónheðin Tróndheim, who has done a lot of reviews for faroese radio and magazines. Third to take the stage were Synarchy. With 8 years and two releases behind them, they are in the heavy weight department so the bar was also set higher than for the previous bands, with an ominous intro featuring throat singers and rain samples, and they gave the show a bit more nerve. 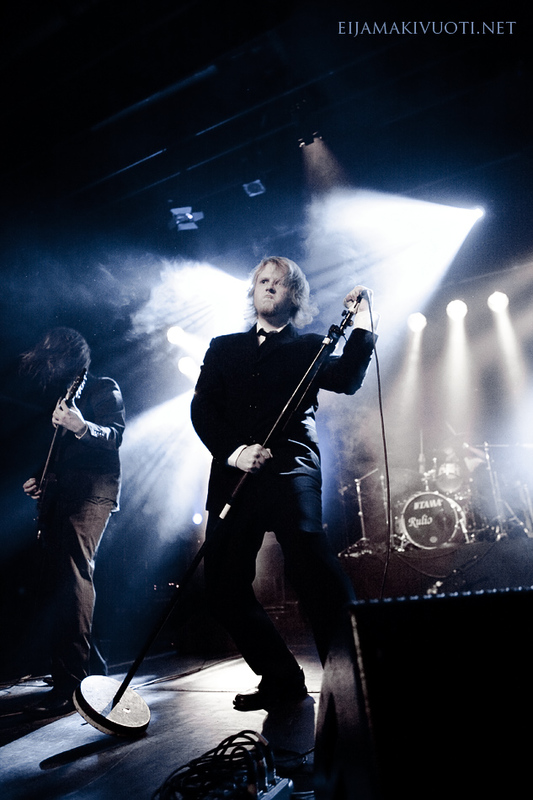 With Gothenburg inspired melodic death they satisfied a want for something more brutal after the slow start. Technically these guys are also totally superior, so it was a pleasure to see the music unfold, alongside a performance with more power than usually. Synarchy delivered what was expected and maybe a bit more. (TN) All of the songs played were from Synarchy’s just recently released second album, Tear Up the World. The southern island lads Incurse brought the audience a 80’s thrash ´n speed wind of nostalgia, their music is infused with good-n-old-style thrash as it use to be played by Metallica and their contemporaries back in the days: straightforward, tight, and with staggering guitar solos. Many times it got to the border of recognition or reminiscence of something really familiar and something that has been heard before. 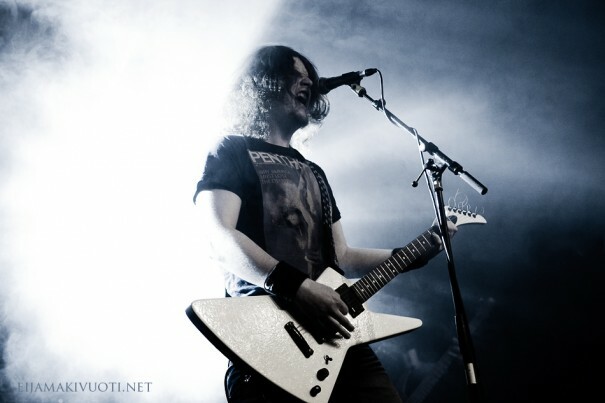 Still they manage to make it work and there is no lack of energy in the lead singer and rhythm guitarist Jacob Bjarki Bech. Even his stage presence breaths pure thrash. The serious man behind the bass and backing vocals, Jenus í Trøðini, is also playing in Hamferð. According to their facebook profile page the band is creating new material for a full length album, which they plan to have out before 2013. Set list: Backlash, Forcing you to die, Jarhead, Frost bound, L.R.F.H. The Wacken Metal Battle rules appoint a band with a left-handed drummer to either play first or last, so the Grande Finale of the evening was performed by SIC, with their left-handed Danish ex-Hatesphere drummer Dennis Buhl. The audience was very demanding in its anticipation, large and small metalheads were stomping the floor with their feet and yelling the bands name. They still yearned for some more action, and the expectations were high. SIC, playing modern thrash metal, is a veteran act in comparison to the other bands at this event. They have been around for somewhat ten years, so they are experienced and a bit rugged on the edge. 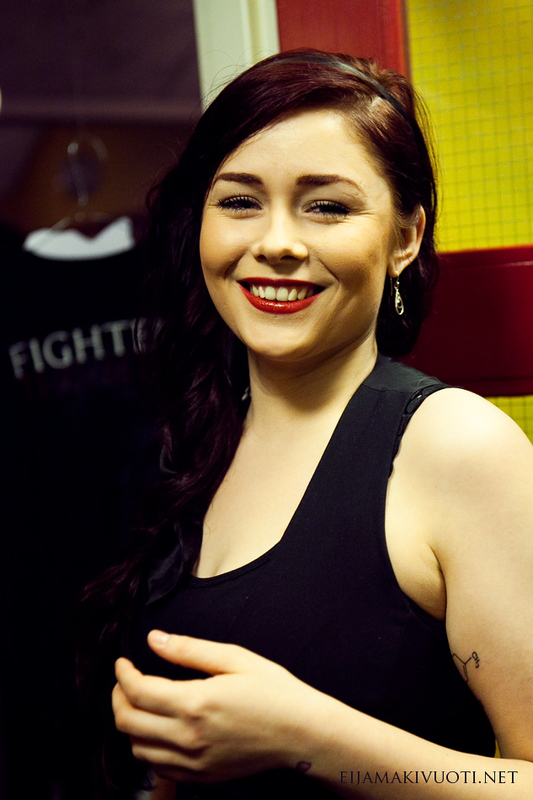 Their passion and immerse energy at stage are always a pleasure to watch and their lead vocalist Mikkjal G. Hansen has an impressive stage persona, truly evil. Which makes it interesting, is that in real life he is one of the sweetest persons I know. Sadly they band members have been a bit spread around (some of them living in Denmark), so they have not had so much time to play, rehearse or make new songs. As passionate as always, SIC performed a high-voltage show with songs from their sophomore album Fighters They Bleed. Only one song, My Hell, derived from their debut album Pandemonium. In midst of the gig, they gave away T-shirts to the audience – and act of bribing, but in a good way. SIC wrapped up the tight stage performance package with the song Fighters They Bleed. Audience got some relief after a sweaty night of one mosh pit after another. Next, we can stay tuned for new songs and third album. The Finnish representative of the judges, Teemu Suominen, was acting as the spokesman on behalf of the judges. The judges were giving praise to the quality and variety of the bands in such a small community, and underlined how greatly surprised they were by it. Also the hospitality of the organisers as well as the devotion and support of the audience to the bands gave reason for appreciation. The audience was pleased to hear that, of course. 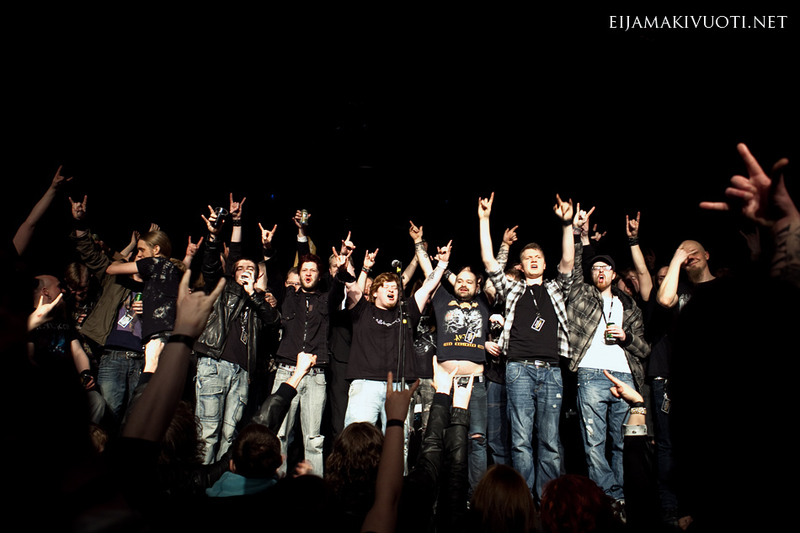 The winner of Wacken Metal Battle Føroyar was Hamferð. 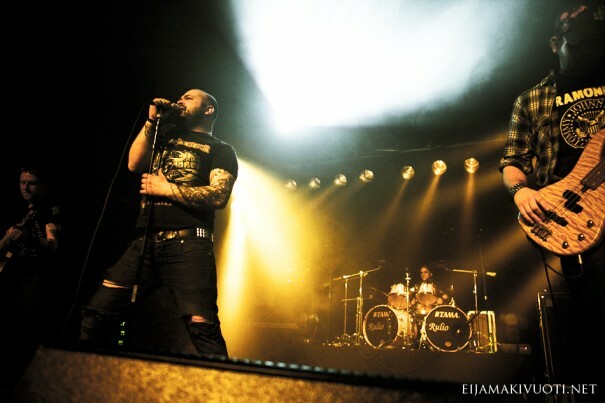 They will get to play at the Metal Battle Finale at Wacken Open Air Festival on Wednesday, 11th August 2012. The Nordic House, which was also the main supporter of the event itself, will sponsor the travel for the winner from the Faroes to Copenhagen. From Copenhagen the winners will drive to the Wacken festival with the event/bus company, Livescenen. 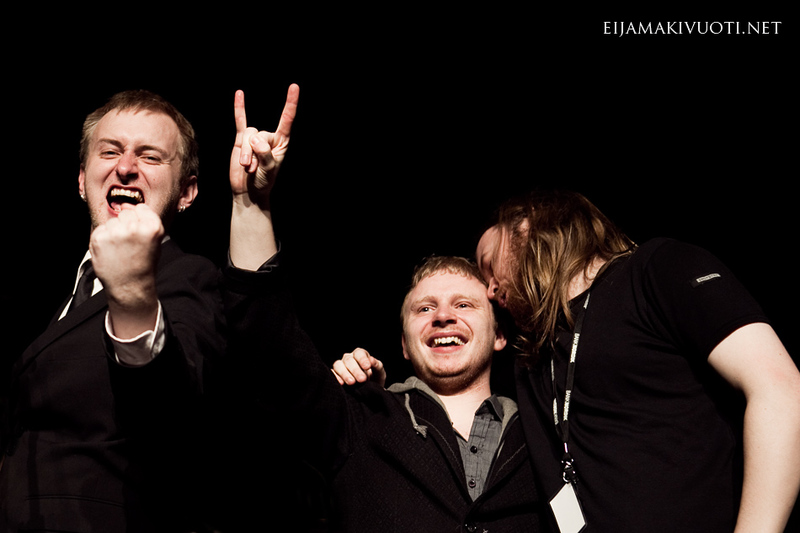 And now maybe a bit more about the winning band: Hamferð have performed large shows at G! Festival, Summarfestivalurin and several other gigs and have garnered rave reviews for their performances, including a 4* review from Kerrang! (for the G! Festival show) and kudos as one of the three best bands on G! 2010 in the Faroese press by Jón Tyril, organiser of G! Festival. 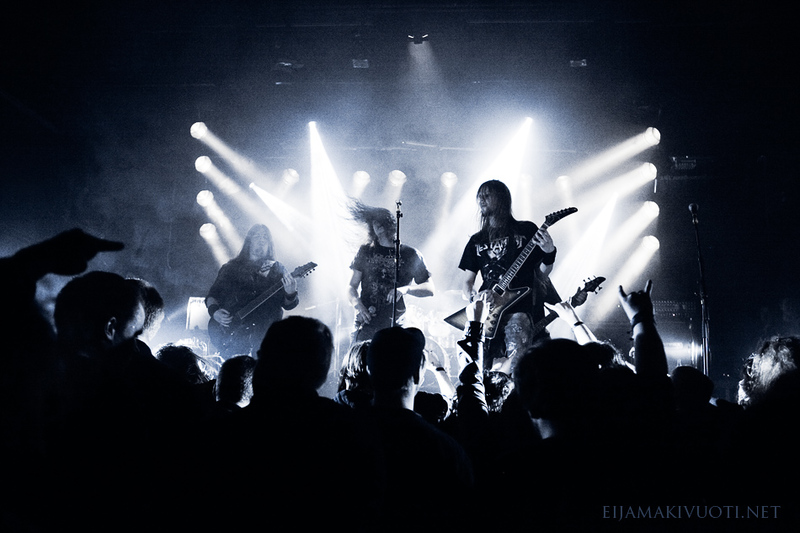 They were on two tours last year, the first one was a two week tour Ferðin til Heljar 2011 (Journey to Hell) in Iceland and in the Faroe Islands together with the Icelandic Viking Metal band Skálmöld. On that tour the bands also played in two festivals, at Eistnaflug festival in Iceland with bands like Triptykon, Secrets of the Moon and Sólstafir and on the Faroe Islands at G! festival with local acts like SIC and Týr and the Swedish Meshuggah. 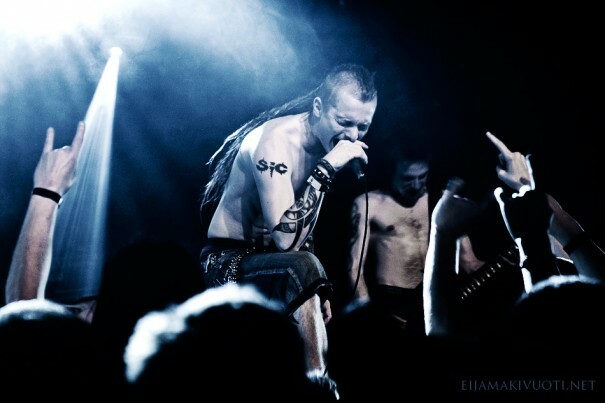 Later the same year they stepped aboard the Dead Tyrants tour in Europe with Moonsorrow, Týr and Crimfall, being the only doom band among the pagan acts. They are in the process of writing new material, so soon we can check out their second album to accompany their debut album Vilst er síðsta fet. 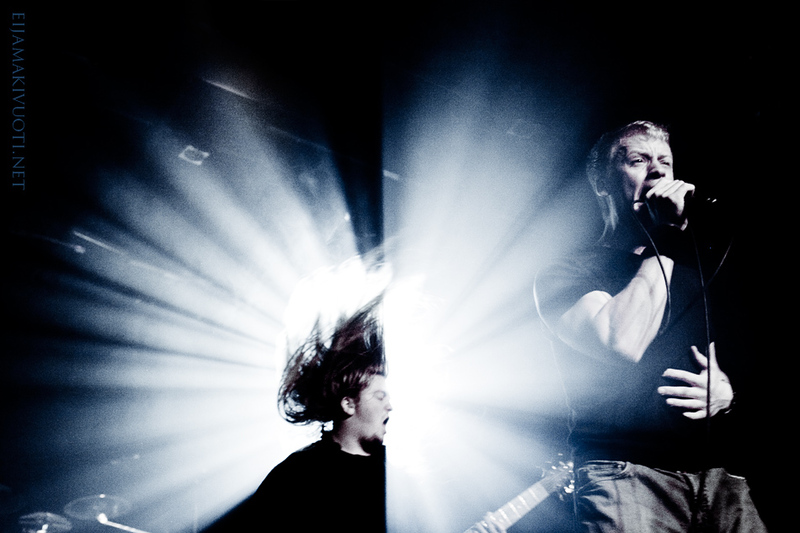 The Wacken Metal Battle Føroyar 2012 is the biggest metal show in Faroese history….yet! It was a great success – the event was sold out so there is a chance for a follow-up of the event next year. This event is a boost for young, fresh blood to get into (metal) music and music making, forming new bands, and learning to live and breathe for metal. 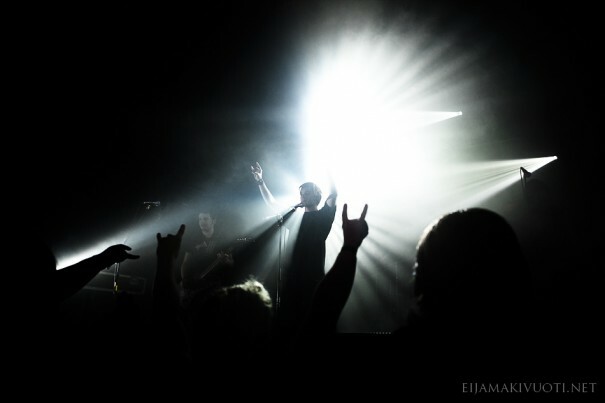 Metal is taken seriously around here and who knows, what the years to come will bring – most surely great, inspiring bands, more interaction and travel between the Faroe Islands, the Nordic countries, Europe and, hell, the whole world’s metal scenes.